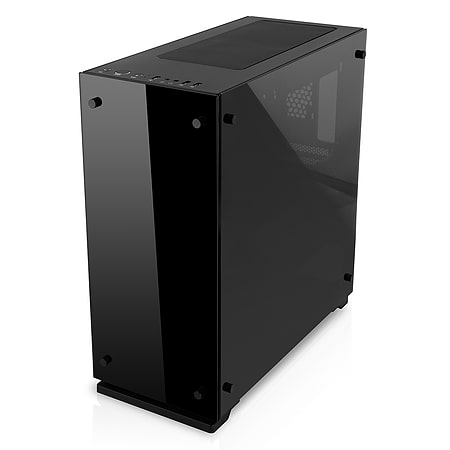 The Fierce Sniper Gaming PC is a brilliant PC for high-end gaming. The Fierce Sniper Desktop Gaming PC is impressively fast. Featuring the new Intel Core i7 8700K, running at 3.7GHz (Overclocked to 4.6GHz) across 6 cores and cooled by a superb All-In-One liquid cooler to push the performance of the other components in your PC, you'll have no issues destroying your opponents. Paired with the NVIDIA GeForce RTX 2080 8GB and 16GB of 2666MHz memory, you'll have great results running the latest games at 1080p. 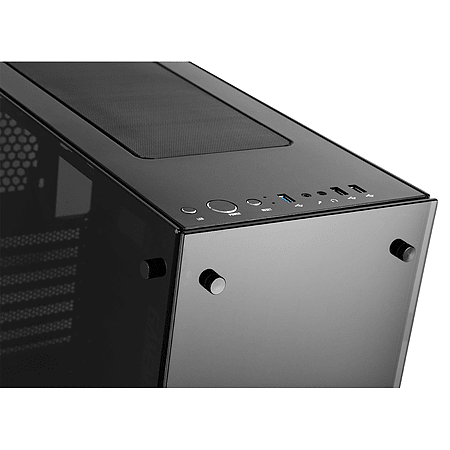 This PC will be perfect for anyone looking to pick up gaming at the high end, with easy support for AAA game releases (GTA, CoD, BF, Fortnite, etc) and brilliant overall performance. These PCs can handle not only gaming, but office work, specialist programs and video editing without any hassle. Storage comes in the shape of a 2TB Seagate FireCuda Solid State Hybrid Drive with up to 5x faster speeds than any ordinary HDD for a vast amount of file storage. Included is a 300Mbps Wireless Wi-Fi Network Adapter, and a standard UK or EU power cable, depending on your shipping address. All of our PCs are fully built, require no assembly and are tested by our experienced team of builders and quality control staff. This system is Windows 10 Compatible (Not Included). This PC does not include an optical drive. Any required software can be downloaded or installed via USB.